Coastline is changing. 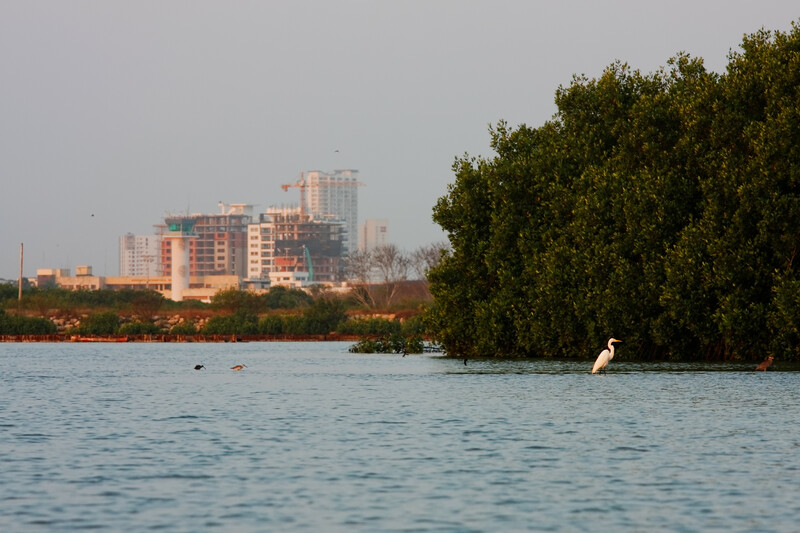 Mangroves along the coast are facing severe land use change due to unplanned city expansion, diminishing the ecosystem services these provide to society such as extreme tides control. Cartagena city, as many others located by the sea, is seriously threated by sea level rise and increase of extreme events frequency, and mangroves are natural barriers which reduce the impact of these phenomena. Unfortunately unplanned urban soil expansion is taking over this ecosystems, increasing the exposure of society to sea level change risks and demanding in the future expensive grey infrastructure based solutions for a problem which nature can help us to solve for free.